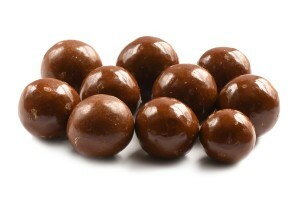 One of the best ways to get an idea of how delicious chocolate covered espresso beans are is to imagine the amazing flavor that would occur if you took the alluring aroma of coffee beans and put it into an edible form then blended it with luxurious milk chocolate. However, something this good should be sampled first hand, not imagined. One bag contains about 250 pieces. Oh, these are SO FRESH compared to our local bulk foods department! Between my husband, my oldest son, and myself, these vanished in a couple of days…MUST HAVE MORE!!!!! Can’t go wrong with this choice … if you like coffee and chocolate … you’re going to love these! Some of the best coffee beans we have had! Will order these again for sure! I ordered a sample with my last order and oh my! I absolutely love these! Im a big chocolate lover and sometimes you need a little pick me up during the day. I will definitely order again! You have no idea how difficult it is to get chocolate covered espresso beans on a military installation. I swear, this site is my salvation. The espresso shards kinda hurt my gums after awhile, but the taste is well worth it. This was my first time having chocolate covered coffee beans so I have nothing to compare them to. The only critique I would have is they had too much chocolate coating. Very tasty and sweet. Love the crunch and caffeine of the espresso beans. So very good! 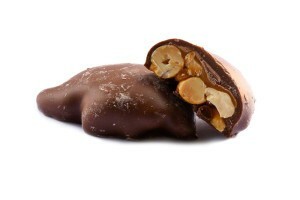 My hubby is picky about his chocolate coffee beans..and he loved these! Very nice quality. Will order more. He best price by far online. Good quality chocolate. Whole espresso beans. Definitely will buy again. Fast shipping. The chocolate came insulated with cold packs to keep it from melting. The price was the best to be found on the internet. Keep up the great work. These came earlier than expected and on ice for summer delivery. I ordered them for my dad, and he loves them. Great product and service! Great service, quick shipping and decent pricing. The product was fresh and delicious. Great site to order from. Ordered 10 pounds to use for wedding favors and could not be happier! Order arrived in Texas with no issues and customer service went above and beyond to ensure it got to me without melting and on time! 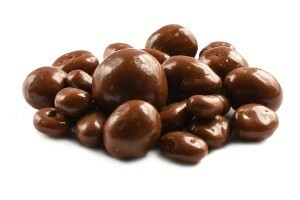 These chocolate covered coffee beans are a fabulous afternoon pick me up of caffeine. They taste amazing. DELICIOUS, words can’t describe. Will always buy my beans from here!!! I bought two bags of these, one for home and one for work. The chocolate is a little melty, but for the price I am completely satisfied! I sent three pounds of the chocolate espresso beans to my daughter at college. She and her friends have been raving about them. My order was easily placed, and shipped quickly. I’m sure it won’t be long before I will be sending another order. They are very good. Not too much chocolate on the beans. Great price! I will be ordering from here again!